When you are installing steel pipe, you often have a termination point in the steel pipe closed off by a steel cap. Steel caps are either weld-on or threaded and the type you use will vary depending on the application. 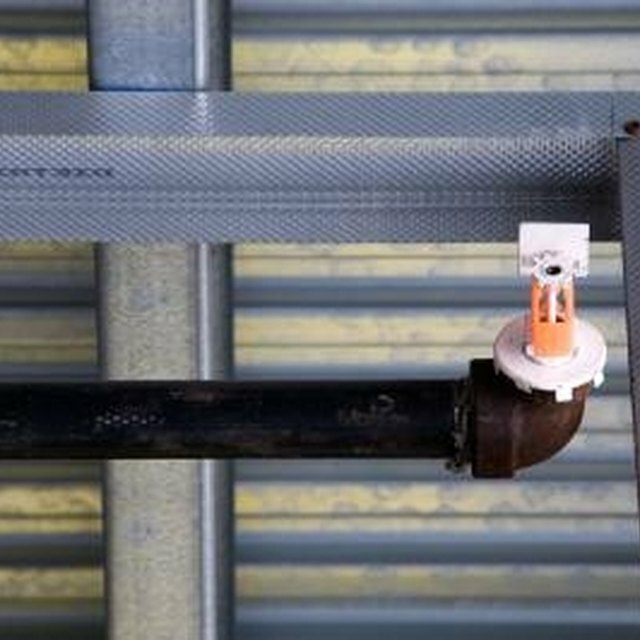 For the majority of home piping, you will use a threaded steel cap. A threaded steel cap has internal female threads that match the common male threads found on the steel pipe. Metal steel threads do not seal properly dry and you will need to coat the threads of the steel cap to achieve a proper seal. Clean the male threads of the steel pipe by running around the threads with the wire brush. You need to make sure that the threads are clear of all dirt and debris. Insert the plumber's round wire brush into the female threads of the steel cap and twist the handle of the wire brush to clean the threads of the steel cap. Apply an even coat of pipe dope to the male threads of the steel pipe. Thread the steel cap onto the pipe dope-coated male threads of the steel pipe and turn the cap by hand until it is tight. Place the pipe wrench on the threaded steel cap and turn the pipe wrench clockwise to tighten the steel cap onto the steel pipe. Wipe the pipe dope from the steel pipe with a clean rag to complete the capping of the steel pipe.